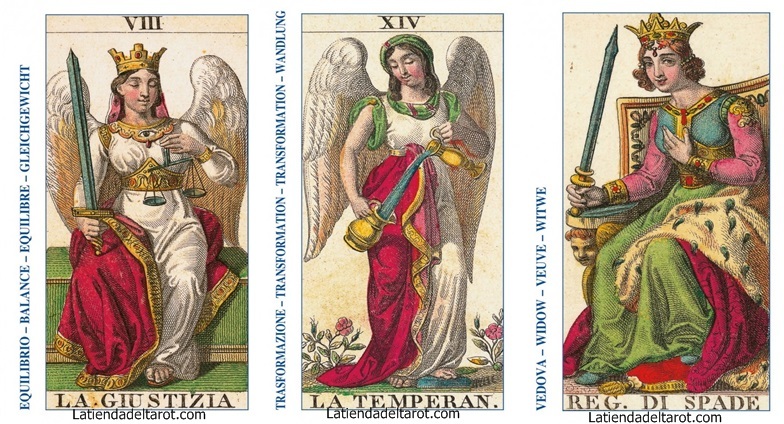 The Classic Tarot is a reproduction of a deck of Milan, dated 1835. His illustrations scrupulously made in pen and ink of both tenuous and vibrant colors, with a final result in general very harmonious. Surprisingly detailed and beautiful in papyrus, the paintings merge in the imposing art style of ancient Egypt with the mysteries of the Tarot. 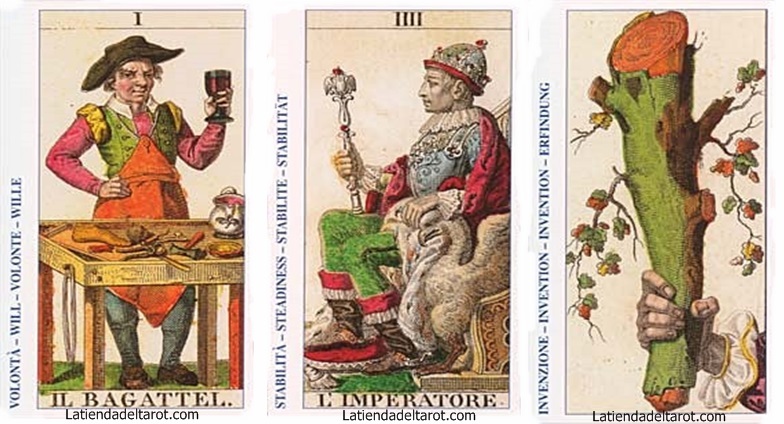 Based on the conceptions of Jean-Baptiste Pitois, which united the cards of the classic Tarots, in the use of a delicate work, the line of detail and deep and intense colors. Exuberant and vibrant, these cards show the drama, complexity, and even the humor and rarity of life. This deck is authentically reproduced from the original, with the modern addition of a white border with a keyword in English, Italian, French and German for each letter. The work of Carlo Della Rocca, one of the most important engravers of the 19th century, has been reproduced, preserving the charm and naturalness of this very refined art. 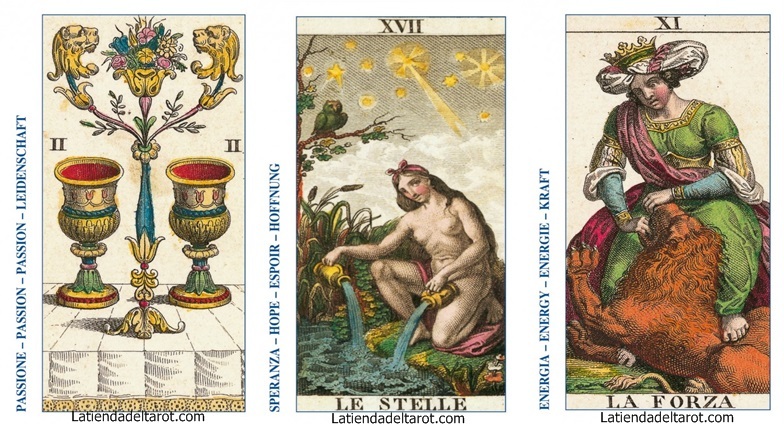 This deck is one of the best examples of Tarot art. 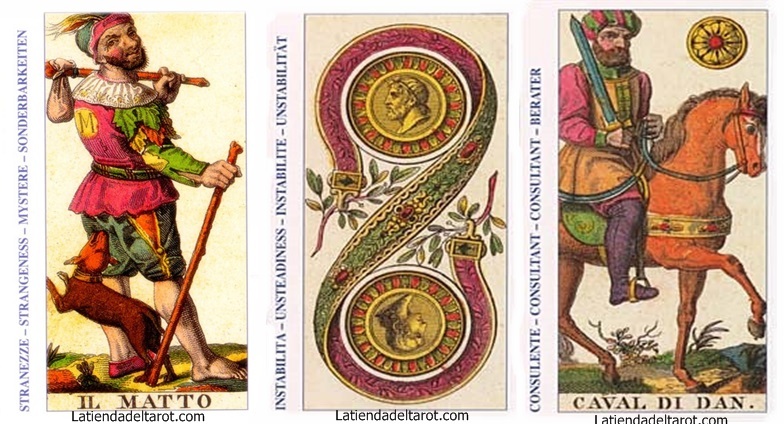 Each Arcanum contains its own divinatory meanings. Language: Spanish, French, German, Italian, English.